AMD’s release of the Ryzen CPUs has sparked excitement throughout the PC community over the last year or so, giving users massive multithreaded power at an affordable cost, however, those CPUs also required large motherboards with big heatsinks. 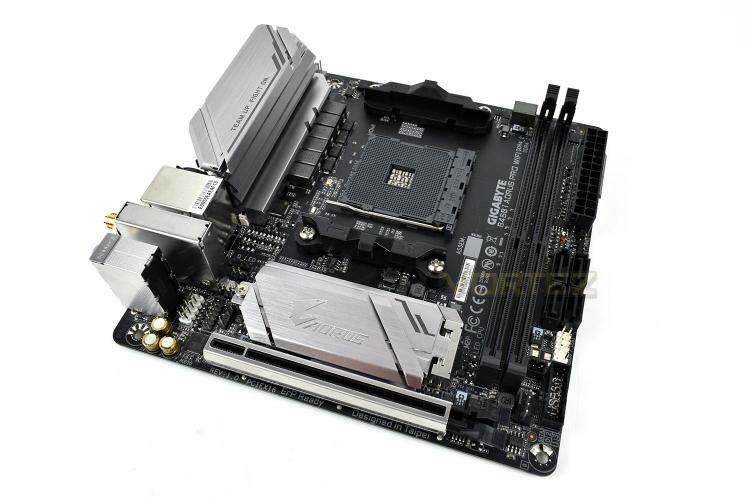 AORUS believe they’ve fixed that issue with the AORUS B450 I Pro WiFi, catering to the Mini-ITX form factor while still providing a feature-packed B450 chipset. Many people may plan to use this as a small media hub under the TV; the B450 I Pro WiFi uses an ALC1220-VC Audio chip for clear sound, perfect for movie watchers and there’s also a pair of HDMI 2.0 ports and a Display Port 1.4, all capable of 4K output. The B450 I Pro WiFi offers all of the essentials without any of the size, however, with a pricetag of £139.99, it needs to perform just like the big guns. Read on to see how it fares.